Duct tape is the king of all household items. You can use duct tape for practically anything, like this sweet wallet. But duct tape isn't the only crafty tape out there; masking tape holds its own, too. 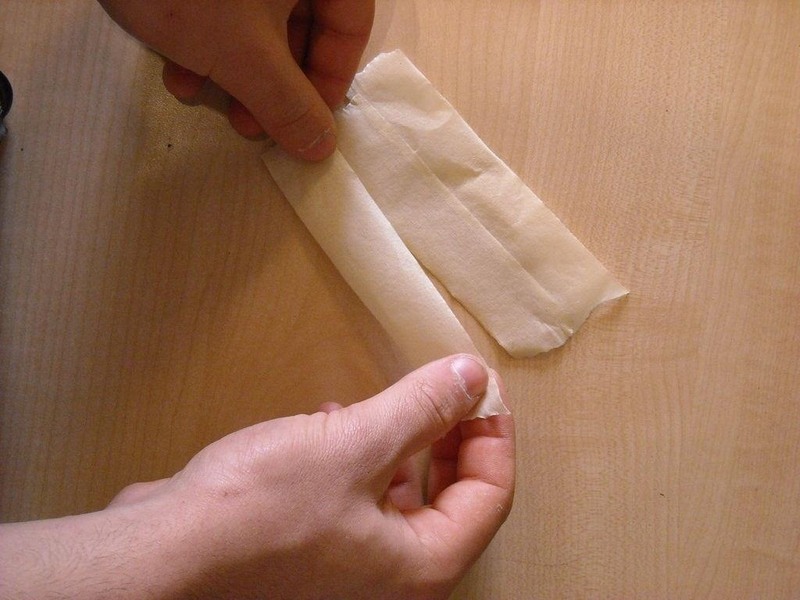 You may already know that you can make homemade speakers using an inflated balloon, as well as paper plates, but you can also whip out the masking tape for some nice DIY sounds. And that's exactly what Instructables user Peris The Majestic did. 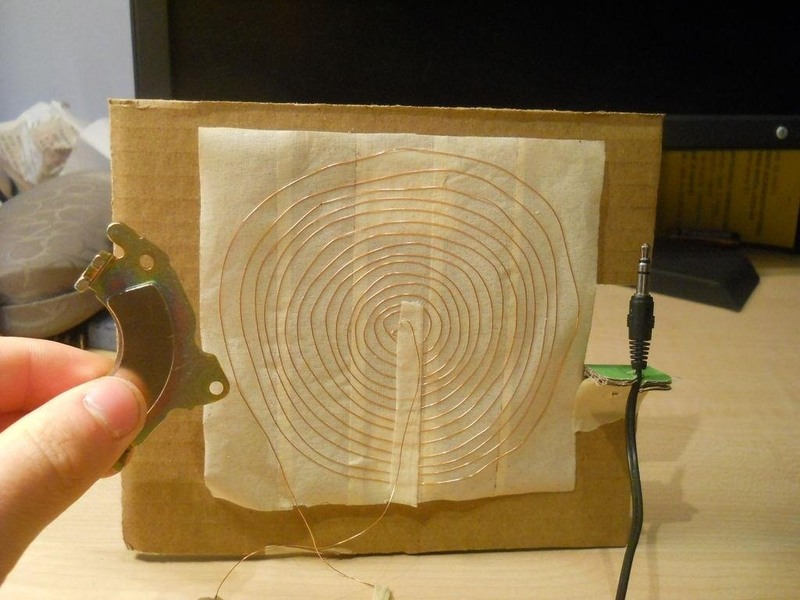 All he used for this homemade speaker was a magnet, copper wire, a stereo cable, and some masking tape. He says it's duct tape, but it's actually masking tape, though, it's possible duct tape could work also. First he made the the masking tape surface. He cut five pieces of tape (sticky side up) and placed them together. You could make yours bigger of course. 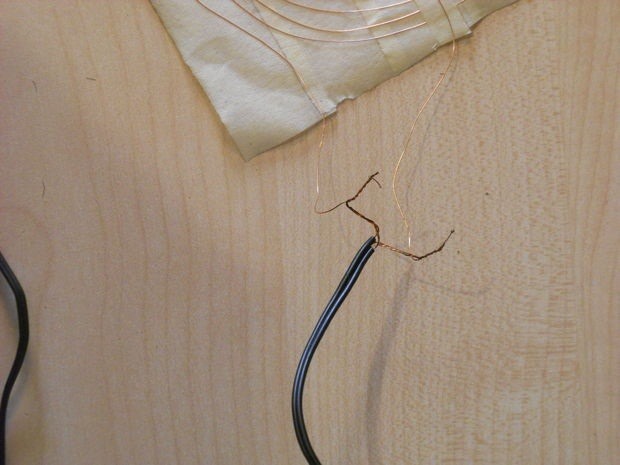 Once the surface is complete, you can the add the copper wire. 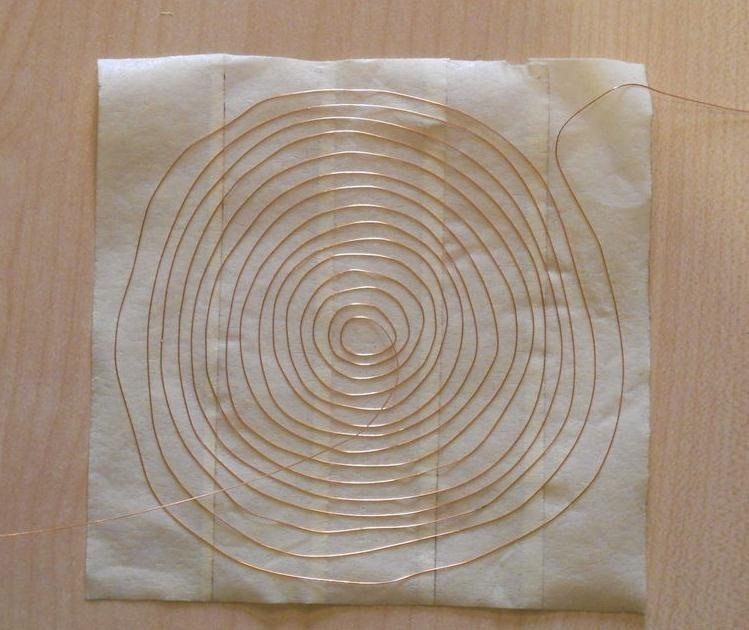 Peris decided to make an outline of what the copper wire would look like before sticking it to the masking tape. 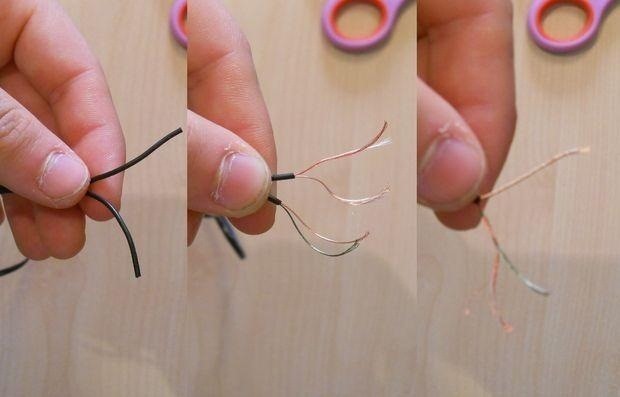 You may not have to do this step, but it's good to visualize the outcome before you start placing the wire. 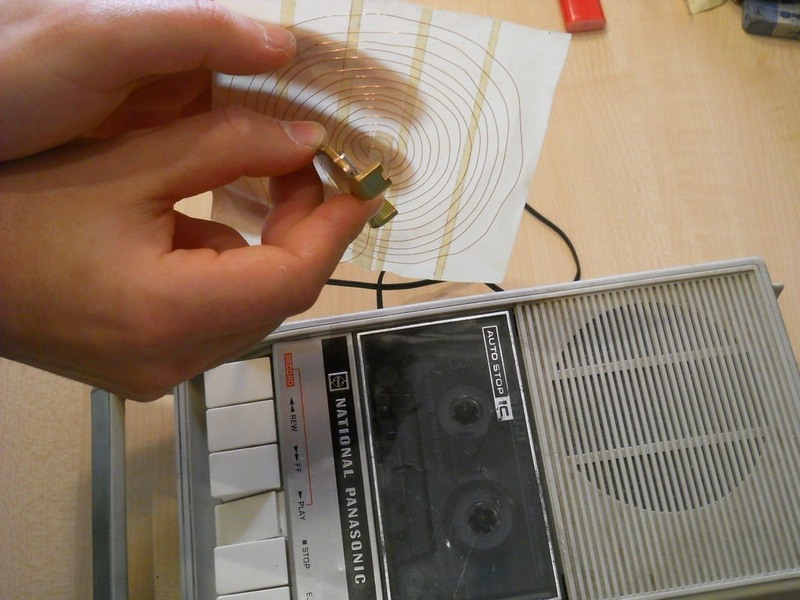 Remember, the more copper you can fit on the masking tape the better the audio signal should be. 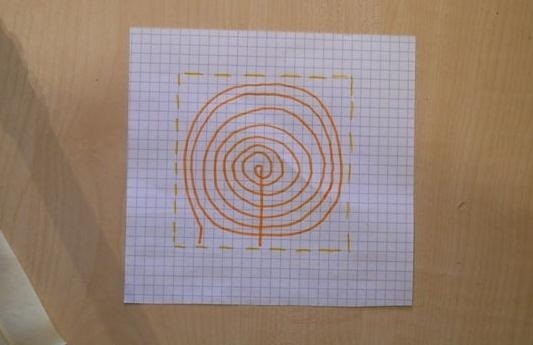 So, place the wire in a tight of coils as you can make them and it should look something like this. You will need to tape down the final coil with a thin piece of tape. Now we can move on the stereo cable. You can buy a stereo cable from any electronic store or you can use an old pair of headphones like he did. You'll have to cut the wire to a reasonable length, leaving the jack and removing the headphone part. Then remove some of the rubber to reveal the wiring. Twist the corresponding ends together and use a lighter to burn of the access enamel insulation. 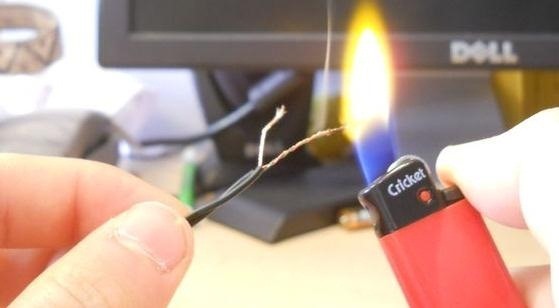 Burn the ends of the copper wiring as well, and then connect the stereo wires to the "speaker" wires. Now plug the jack into an audio source. Here is where the magnet comes in. Use the magnet to amplify the sound. The closer you place the magnet to the copper wiring, the louder the sound will be. To hear the outcome of this DIY masking tape speaker, click here for an .mp4 video. For more details on this masking tape speaker, and to see how to build a cardboard stand for it, check out Peris The Majestic's complete tutorial.